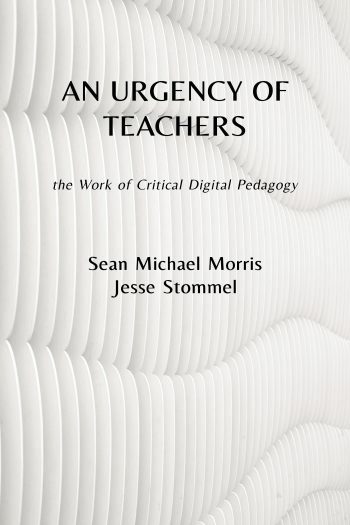 This collection of essays explores the authors’ work in, inquiry into, and critique of online learning, educational technology, and the trends, techniques, hopes, fears, and possibilities of digital pedagogy. For more information, visit urgencyofteachers.com. Books have always been digital, not analog. Even when made of paper & ink, they are sequences of discrete symbols. Books have always been digital, not analog. Even when made of paper & ink, they are sequences of discrete symbols. That is all.